Here’s how I spent my summer vacation. 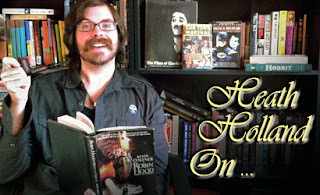 As mentioned during the Ant-Man podcast, I spent my summer taking part in Turner Classic Movies’ “Summer of Darkness” and corresponding online course in film noir. Each Friday, the basic cable channel ran a 24-hour marathon of noir films, including a bunch or rare ones that aren’t on DVD. 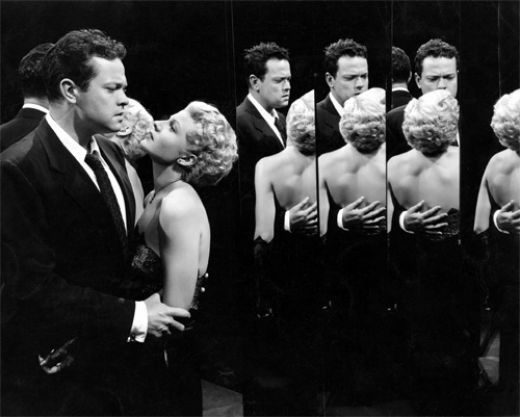 Over a period of nine weeks, TCM aired a total of 121 noir films and ran essays and noir-themed content on their website to coincide with the event. 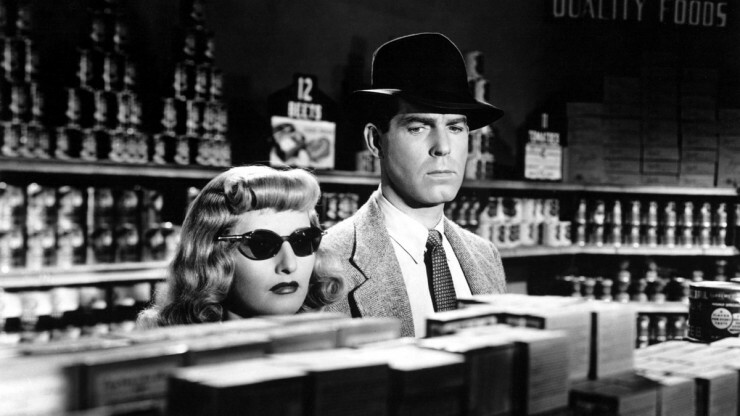 They also dedicated a portion of their online shop to noir-themed merchandise, including pulp crime novels, DVDs of several of the films, and theatrical posters; you could even buy a fedora on the site. Each Friday night, Eddie Muller, the famed noir preservationist and author, hosted the films and offered rare insights. 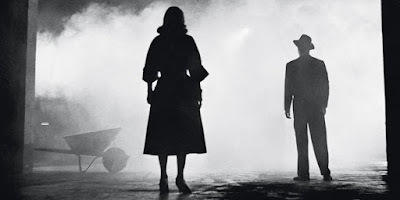 The best part, however, was the introduction of “Into the Darkness: Investigating Film Noir,” the FREE online course that film fans could choose to tackle while watching each week’s movie offerings. Led by Professor Richard L. Edwards, the nine-week course offered an intense study of the noir cycle from its post-war origins in the ‘40s to its demise in the late ‘50s. The course was available on the Canvas Network, an online learning resource that many universities utilize to offer students an easy interface with course material. Richard L. Edwards is a researcher and proponent of “online and blended education,” as well as a podcaster about film noir (see the “Out of the Past Podcast” series for more info), and is just the kind of guy with the qualifications to lead this sort of a study. Each week’s lessons were loosely tied to films that were going to be shown that coming Friday on Turner Classic Movies. The components of the course each week consisted of one video lecture which ran roughly thirty minutes, additional reading from noted film historians, a viewing guide to that week’s TCM marathon schedule, and a 20 question quiz. There were also four “daily doses of darkness” per week which were sent to your e-mail inbox and featured a couple of paragraphs about a scene from a film with a link to a YouTube clip of that film. The level of involvement in the course was entirely up to the learner; you could check in and watch the lecture, or read the daily doses of darkness and then be done for the week. However, for those who were willing to go all the way, the course could be treated as an actual college class on film noir with a certificate of completion from Indiana’s Ball State University being offered to those willing to do ALL the work. This is what I chose to do, and I wasn’t prepared for how immersive the study was going to be. I’ve taken plenty of college classes that were way less work than this. To receive the certificate, you had to do all the reading (which usually consisted of entire chapters of film studies books), watch all the essays and film noir clips from the daily e-mails, and receive a 70% or higher on the quizzes. You were allowed three attempts at each quiz, and if you achieved that score then you were eligible to take the final exam, which was a cumulative test comprised of information learned over the entire nine weeks. Leading up to the course, the information provided said that a person wanting to complete all these studies would need to dedicate about three or four hours each week to resources, but that figure came in too low for me. It took about five hours each week to study all of the materials, read the additional text, take the quiz, and prepare for that week’s film schedule, and that’s five hours OUTSIDE of watching the first movie. However, I have to say that each week the instructor made it very clear that none of these things were required and that the level of immersion was entirely optional. You could have spent five minutes each week reading one e-mail and been done. You just wouldn’t have gotten all there was to offer from the class, nor would you have gotten the certificate of completion. I believe that anything worth doing is worth doing well, so I was more than happy to dive head-first into the class. It was a TON of work, but it was also loads of fun (or as fun as learning about movies focused on deception, murder, and paranoia can be), and I learned SO MUCH about the genre. I studied the roots of the cycle and how it came about in the dark, doubtful days following World War II. I learned about the French critics who coined the term, studied the photographs of Arthur Fellig--aka Weegee--and read fiction by early pulp authors. I learned the major players of noir, from the recurring actors to the foreign directors like Robert Siodmak, Fritz Lang, and Otto Preminger, who came to Hollywood seeking safety and refuge from persecution and brought their darker, European sensibilities with them. I learned about noir’s shot composition and the importance of criss-crossing lines and diagonal movement. I learned about chiaroscuro lighting in relation to noir cinematography and how the low budgets and short shooting schedules that most of these films were created under benefited the overall tone of the films. I even learned about how the socio-economic environment of the mid-to-late 1950s changed the zeitgeist and led to a downfall in gritty urban content and a rise in colorful kitsch. The best part of the course is that Professor Edwards taught over and over again that there are many definite facts concerning film noir, but there are also many things that we will never have firm answers about and which are totally subjective. One of the things that I’ve been turned off by in the past with books or internet sites concerning film noir is how so many scholars and academics want to put noir in a little bitty box. They want to confine it to a tiny handful of films that represent the purity of the cycle. These people often boil film noir down to a clinical, lifeless list of ingredients. Professor Edwards, on the other hand, taught that the best way to make up your mind about what is and isn’t noir is to watch as many of the films as possible. He contends that there are thousands of films that either fall under the noir umbrella or were influenced BY noir films, and that therefore have significance to the noir fan. He also declines to decide if noir is a genre or a movement, instead leaving that up to each individual person. Earlier this year, I wrote a whole column on genre after reading an argument between snooty noir fans about how to classify particular films. Professor Edwards seems to be on my side of things: classifying something is a lot less important than watching and experiencing the movies themselves, and you might miss out on that experience if you don’t think it matters. I’d much rather watch MORE movies than limit myself to just a few. One of the takeaways of the class is that it’s only watching tons and tons of movies that you are able to form educated opinions about these them. In the end, Investigating Film Noir was a massive success. In the live video conference between Eddie Muller and Professor Edwards that took place at the end of the course, Eddie Muller told the instructor that he’d expected there to be something like 800 students participating in the online course. In reality, the final enrollment numbers revealed that 20,600 students signed up to learn about film noir, which is incredible. That’s over 20,000 people that actively chose to pursue a deeper knowledge of a type of film that more or less ended almost 60 years ago. Regardless of how many of those enrollees were active participants on a daily basis, it still shows a startling amount of interest. There is no word yet on any sort of a similar course for 2016, but everyone involved was clear that if the program was a success, we could very well be seeing future offerings. I have to imagine this exceeds any expectations that Turner Classic Movies had. My summer of darkness was a lot of work, but I wouldn’t trade it for anything. I’ve learned more than I ever imagined, and all it cost me was my time. Furthermore, I’m far from being sick of film noir; learning more about it has created a hunger to watch even more of the films and learn as much as I can. In his essay titled “Low Company, High Style: The Eternal Allure of Film Noir,” available on TCM.com, Eddie Muller explains that one of the reasons we keep coming back to noir is because it’s “suffering with style,” perhaps the greatest description of film noir I’ve ever seen. Noir is, first and foremost, incredibly stylish and effortlessly cool. I’m a big fan of the art, music, and culture from the 1940s and the 1950s, but I’ve never quite figured out what it is about the period that makes me connect to it the way I do. The course helped me with that by making it abundantly clear that noir isn’t a lifeless subject for crusty academia, but is vibrant, electric, and alive. 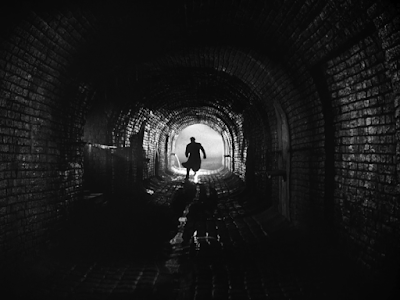 My absolute favorite part of the course was reading Mr. Muller’s essay in which he manages to define the indefinable and offers an explanation of why so many of us love film noir and the art of that period. He concludes with this: “Today the cynicism and fatalism found in classic film noir seems almost comforting compared to the ugliness and pessimism we confront in the media, on movie screens, and in the streets. We watch film noir with an endless fascination, and an undeniable aspect of our fascination is the realization that, as a culture, we will never be that stylish again.” That just about says it all. I also took part in the course and I really enjoyed it. It was fun to revisit some of my favorite noirs with a fresh perspective (like Kiss Me Deadly and The Maltese Falcon) and also discover some great films for the first time (Gun Crazy and Detour are two that stand out). I'd definitely take part in something like this again. It's great to learn more about the context of film. It helps enrich the viewing experience while also helping you connect with people who are into the same types of films you are. This is fantastic, Heath. I applaud your commitment, and thank you for sharing the journey with us. Noir is a genre that should be with us for a long time, and if the numbers are any indication, it is still appealing to many people. It's also crazy to know there's a noir author/expert out there who shares my last name (it's not a hugely common one), so THAT'S pretty cool, too! Yay Heath! Hang that certificate proudly, Sir. You earned it! I love your comment, "I’ve learned more than I ever imagined, and all it cost me was my time." That's a great attitude to have toward film or life, if you ask me. I have also found it true that, more often than not, the more I really learn about something, the less tired of it I become. Terrific article -- thanks for sharing your journey with us! Thanks for sharing your experience with us, Heath! The class sounds like it was informative while still being fun. I recently graduated, but I'm happy that classes like these are out there so that I can keep learning. "Suffering with style" is a great description of noir. JB mentioned in a previous podcast that James Ellroy famously said that you can sum up film noir in two words: you're fucked, so FTM has already given me two great summations of the genre. I took an American pop culture class this spring, and we briefly touched upon film noir and its larger historical context. My profession mentioned how the duality of film noir and Disneyland points to the prevailing message of the time, which was that the city was a dangerous and dirty place, with loose women who will lead you to damnation and where everyone has dubious morals and are only looking out for themselves. Plus, there are often scenes in ethnic neighborhoods like Little Italys and Chinatowns, which hint to the the looming specter of integration and civil rights, while suburbs like Anaheim offered orderly streets and white neighbors. I've been to several acupuncturists, but none have ever taken the time to really get at the heart of the issue. Guy from acupuncture lorne park spent a good amount of time discussing the issues and the treatment and then we got started.